Just before the July 1 holiday weekend, as fairs, festivals, and cultural events across Canada were ready to hit their peak, Finance Minister Jim Flaherty came right out and said it. He said something that most of us knew, but few listened to the warnings. 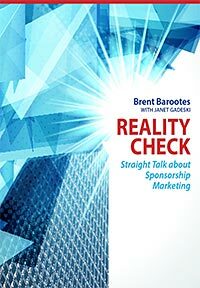 He spoke of something that I and others in the sponsorship industry have been raising awareness of for a long time. This should have come as no surprise to anyone, though it seemed to for many. For over a decade, as a sponsorship consulting firm, we have witnessed the move by government to slowly cut back on such funding and grants. Those in the fairs, festivals, arts, and cultural organizations who are not prepared are the ones that suffer. There are so many who think they are entitled to the money and fail to seek alternate revenue, such as real sponsorship that can truly offset the difference (versus arm twisting, begging for money, and placing a logo on a program). As I watch organizations we have worked with, such as the Art Gallery of Alberta, Pump House Theatre Society, Airdrie Festival of Lights, Live Green Toronto Festival, Globe Theatre, Olds Fair, Vertigo Theatre, Canadian Western Agribition, Capital EX, WineFest, High Performance Rodeo, Rocky Mountain Wine and Food Festival, Canadian Finals Rodeo, and so many others, I am pleased to see them wean themselves away from these government cutbacks (or at least brace themselves). They have invested in their own future and diversified their revenue channels. They have more money coming in from more sources and can weather the storm of government cutbacks, if necessary. Then, there are those organizations that are not prepared, organizations that feel entitled, organizations that watch the world change around them and wonder why their success is diminishing. To them, I would say that the earth was once ruled by dinosaurs. Once upon a time, the horse and buggy was the preferred mode of transportation, and at one time, the Commodore 64 was a great computer. The times are changing, and have been for a while. Unless you recognize the need to change and act on it, you too will go the way of the dinosaur, the horse and buggy, and the Commodore 64!